An extremely interesting aspect of amygdala function is that mild electrical stimulation of this structure produces an “orienting response”. 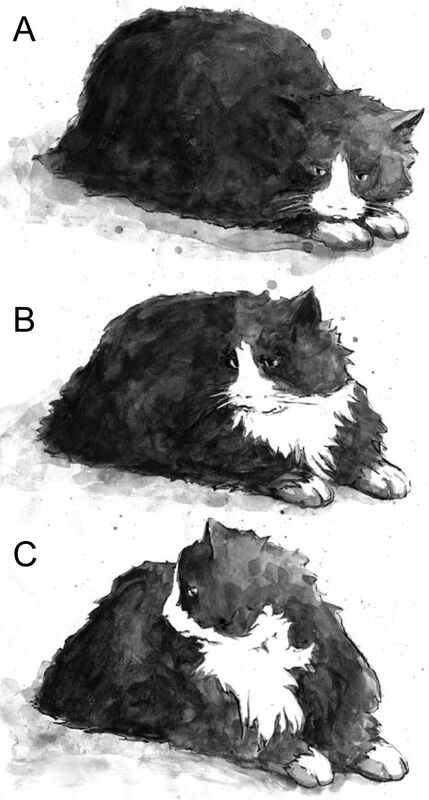 As described originally by Kaada and colleagues, “the animal usually raises its head and looks in an inquisitive manner”. The original photos by Kaada are quite revealing, as shown here in this drawing. ATTENTION RESPONSE. Stimulation of the amygdala with mild electrical currents elicits an “attention response”. (A) Before stimulation. (B, C) During stimulation. Adapted from Ursin and Kaada (1960). Illustration by Gatis Cirulis. I suggest that this behavior is a manifestation of affective attention processes carried out by the amygdala and related structures, including the basal forebrain and hypothalamus (paper). Whereas some of these mechanisms mobilize neural resources, others are suggested to engage bodily resources, too. 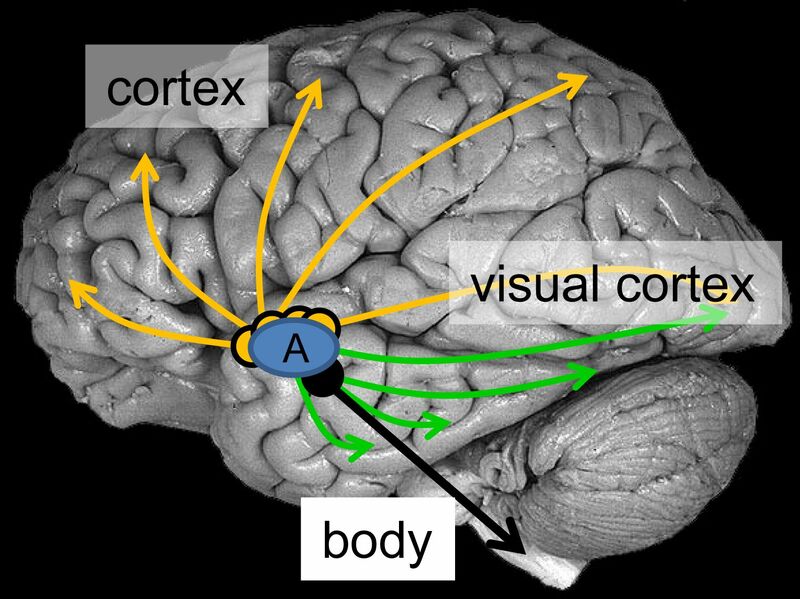 AFFECTIVE ATTENTION depends on the amygdala (A; blue ellipse) and other structures. Diffuse projections from the basal forebrain are shown in yellow; efferent projections from amygdala nuclei are shown in green; the central nucleus of the amygdala also originates descending projections (black arrow) via the hypothalamus and other brainstem nuclei.